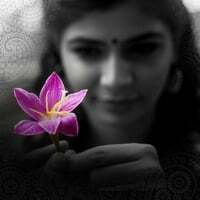 This so nice Chinmayi. Oru paadu ishtapettu. Isn't this called piracy?? Like putting a audio file in youtube without permission????? And, sometime back, you had a post on music industry is affected by piracy. Can the same be used to connect with your fans????? Mr Smart guy, I haven't uploaded videos here before. And since I have, you must know that I have the express permission of the composer. So please stay assured that when I put something up, I have the permission. OK? And also relax on the number of question marks. One is enough. Feel of the song is good. Little bit remember 7G Song.